A hotplate is a highly portable device that can have up to two gas burners. There are two sizes of hotplates available though. One is the single burner and the bigger one and the other is the double burner one. There are two types of burners available too and it can also be a heating element (electric too) for some. The portable one is small enough to be used on the table top as a standalone device. The main feature of hot plate is that it does not require any other resource except electricity to operate. What is a hot plate used for in the lab? The hot plate is a vital device that is used in a laboratory to heat samples. The fact that it has the ability to heat the sample without any exposed flames is one of the major advantages. It is a device that can be used on a daily basis for temperatures as high as 100 degrees and even higher. It is important to check material of the hot plate surface. There is a big advantage of using a flat plate however the hot plate can be made from several materials like ceramic, aluminium or enamel. An aluminium heating plate can distribute the heat evenly and that too quite fast and efficiently. It is a device that is easy to clean and maintain as well. Although care must be taken against corrosion. The other materials used to make a hot plate are ceramic and enamel. These too have their own unique characteristics. They are both considered to be more durable in terms to handling temperature as well as strong chemicals. These plate can resist higher temperature and are also sensitive to color change. Hence the color change due while heating of plate is more noticeable. Neuation offers several laboratory equipment including hot plates. They produce several types of magnetic stirrers including the hot plate magnetic stirrer. Their stirrers are PTFE coated for added protection. Neuation offer only the best products. They are an ISO 9001: 2008 company hence their products are of high quality. In addition to which the management system is ISO 13485: 2003 (certified lab equipment manufacturer). All their products are consistently good and of international quality. How to choose Laboratory equipment’s? 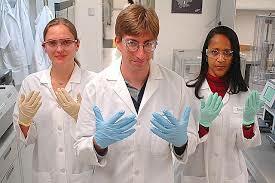 Research laboratories have become part and parcel of everyday life. Whether you think about food products, chemical products, beauty items, pharmaceuticals, military and many more, one thing is common for all of these is laboratory shaker. All these industries need to research a lot before presenting any of the products to their customers. With the help of research, they can provide authentic and scientific report in order to prove that the product or the report is 100% tested and verified. It is important for you to know the basics of choosing laboratory equipment Because, when we talk about mixture or shaker, there are many types of mixtures available in the market like laboratory mixtures, industrial mixtures and specialty mixtures. All these products are manufactured using different components including motors or air, magnets and variable speed controls. But, before you start looking for any of the laboratory equipment; it is important to exactly know the need of laboratory. Once you are clear about above mentioned points, you can go ahead with the type of container such as shaker, mixture or roller. Though all these products look similar in certain ways, each product has its specific amalgamation process. Scientific shaker uses vibrations along with tilting to complete the mixture of two liquids in order to provide the results in health-care laboratories. While mixtures use blade or small paddles in order to combine the substances. Thus, you can select any of the laboratory equipment (shaker, mixture or roller) following above mentioned points and produce desired and quality results in minimum time-frame in your respective fields. Laboratory centrifuge is an equipment that is driven by a motor. Liquid samples are placed inside the centrifuge device and spun at high speeds in order to separate matter of different densities. This seems like a harmless enough device to operate although like every other laboratory equipment this device too needs has a list of rules as well as dos and don’ts attached to it. This harmless device could very well cause some serious accidents and thus it necessary to make sure that the device is handled by trained professionals and that they are aware of the safety measures; which is what this article is all about. Basic care and maintenance of the laboratory centrifuge is essential to ensure the proper functioning of the laboratory equipment. Regular inspection of the equipment via the daily, monthly and yearly maintenance of the equipment helps make sure that the accidents are avoided. This helps maintain safe working practices in a laboratory. Here are a few safety measures mentioned to guide you while using a centrifuge device. It is vital that you used the correct kind of glassware. It is necessary use the glassware made from borosilicate glass since common glass can easily break or shatter thus causing damage. It is important to note that different glassware has different implementations and are used for different purposes. For example in case of a laboratory centrifuge test tubes usually contain the sample. The cleaning of the glassware is of utmost importance. Furthermore the faster you clean it after use the easier it is to successfully clean it. Any crack detected in the test tube should not be ignored. The test tubes should be inspected for cracks, chips or scratches in general prior to use and while storing. You need to be extra careful of the so called star cracks that usually form on the bottom of tubes. As a precautionary measure, you should never leave glassware unattended. The basic reason being that the contents of the glassware (test tube) could either be toxin or hot and harmful to an unsuspecting tab technician or cleaner. It thus should be handled and kept by the appropriate centrifuge operator. It is our general instinct not to work bare hands when it come to broken glass. That said you should always ensure that you place all the broken glassware (test tubes, etc) in a box that is clearly marked like “Broken Glassware”., This will go a long way in ensuring the safety of everyone involved. Make sure you do not overfill the test tubes or any other containers for that matter. Make sure that the emergency cut-off switch is working and checked for the same regularly. The electrical cords must be inspected during the maintenance procedures and the area surrounding the laboratory centrifuge must always be kept dry. Make sure you close the centrifuge lid prior to operating it. Additionally most devices have an additional safety feature where the device shuts down if the lid is opened. This feature if exists on you laboratory centrifuge should also be often tested to make sure it is functioning just fine. It is necessary to place the centrifuge on a place surface and additionally it should also be vibration free. It is important to never leave the laboratory centrifuge unattended. Cleanliness is of utmost importance. The rotors and buckets should be kept clean. Some basic checks should be made prior to use like making sure that the rotor is properly seated on the drive shaft. The tube containers are required to be properly balanced in the rotor. It may be possible to set a high speed on the centrifuge though it should never exceed the rotor’s maximum capacity. The centrifuge operators should be well trained prior to using the device itself. It is a good practice for them to read the manual too prior to actually using the device. Make sure that you used rotors that are compatible with the centrifuge. The O-ring should be examined to make sure it is not worn off, cracked or missing altogether. It is vital to cap the tubes prior to centrifugation. During the process of centrifugation, if you notice additional noise or vibration then the device should be stopped immediately and checked. This to check in such a situation include the balancing of loads. After the process of centrifugation has come to an end you should allow the centrifuge to come to a complete stop before opening it. Additionally the operator should be wearing gloves while handling the rotor and samples. Again, once the process has been completed you need to check for possible spills and clean the centrifuge if required. In case of dealing with biohazard substances, make sure you label the sample correctly and mention that it is a biohazard. Ideally celluloid tubes should not be used when dealing with biohazard substances. The exterior surface of the tubes should be wiped with disinfectants prior to loading into the rotor. Thus a laboratory centrifuge may seem like a harmless device which is easy to use and maintain. The fact is that it is a fairly safe device to use provided you use it correctly and make sure you are aware of all the possible things that can go wrong. Equipping yourself with the knowledge of safety procedures and measure can go a long way in helping you stay safe and maintain health and safety in the laboratory. Neuation is one company that designs and develops it’s own products and they are done by its very own R & D team. Thus the products are designed by keeping the safety of the operator and laboratory personnel in mind and are also very good quality and possess a good user interface.